My Great Grandfathers chapel gets plaque from the Hibees. My Uncle Ian (John Hamilton) was my Dads brother. He died in 2008, a week after my Mums funeral, just shy of his 90th birthday. He never married, although he lived with his partner Janet for a decade or so in his seventies and early eighties. As with many folk of his age, he’d lived a varied life, even if he was a curmudgeonly old git. Amongst his many jobs was a lengthy stint working as a merchant seaman, doing a bang up job of ridding the Arctic seas of all those pesky whales, back in the days when it involved a single harpoon and a hell of a lot of swearing and pulling on ropes. 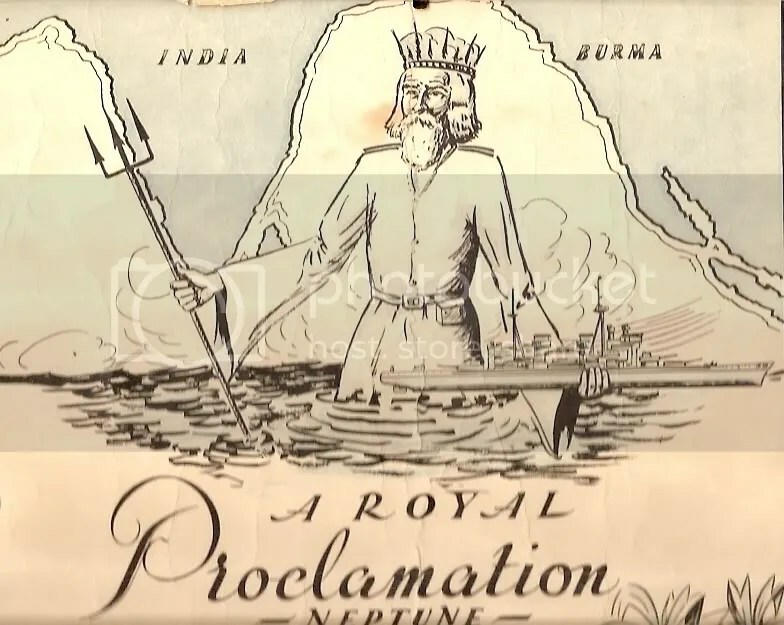 Come the second World War he put his seafaring experience to good use, and as you will see below, even Neptune had something to say about it. As it’s too big to scan in one, the scans are in two pieces, and I’ll type in the proclamation underneath, in case it’s hard to read. By the Grace of Mythology, Lord of the Oceans, Ruler of the Waves, Sovereign of the Seven Seas, Guardian of the Deep – know all men by these Precepts that A Hamilton, AB, having this day entered Our Royal Domain hath been duly received by Us, Our Court and Our Bears according to the Ancient and Requisite Form and Initiation. 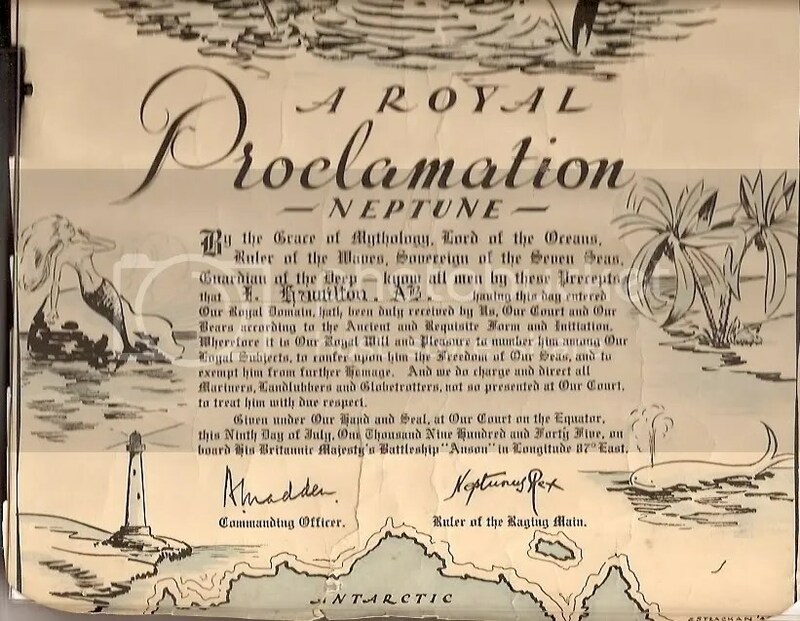 Wherefore it is Our Royal Will and Pleasure to number him among Our Loyal Subjects, to confer upon him the Freedom of Our Seas and to exempt him from further Homage. And we do charge and direct all Mariners, Landlubbers and Globetrotters, not so presented at Our Court, to treat him with due respect. Given under Our Hand and Seal, at Our COurt on the Equator, this Ninth Day of July, One Thousand Nine Hundred and Forty Five on board His Britannic Majestys Battleship “Anson” in Longitude 87 Degrees East. We did things properly in those day!